we have completed numerous engine builds from the mild to the wild. Typically these performance configurations fall into 4 categories. Below we have listed them and included a close estimate on the cost. Obviously these numbers can change depending on your specific application. Stage 1 let it breathe: $1250 Performance Air Cleaner-Performance Exhaust-Power Vision License and full Dyno Tune. The Stage one package includes either a Crusher Street Sleeper 3 or S&S Stealth Intake system-Slip on Mufflers-Dynojet power Vision Tuning License and Dyno Tune. If you've experienced the Stage 1 power increase and are looking for a big boost in performance, It's time for some performance cams! Stage 3 Big Bore with Cam upgrade: $2250 TDG offers several big bore packages to upgrade your Twin cam 88ci to a 98ci, a 96ci or 103ci to a fire breathing 107ci or 110ci. 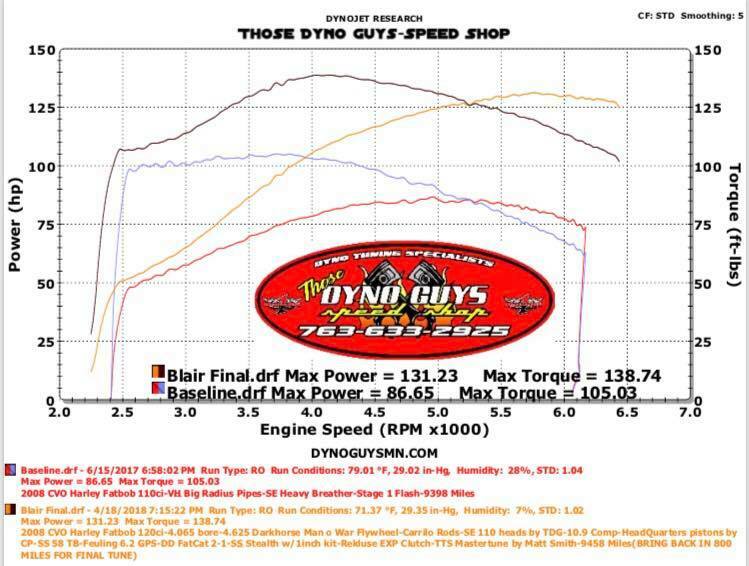 Includes , Head Quarters Black ops lifters, your choice of several performance cams, Inner Cam bearings, full gasket kit, pistons, machining, and an oil change using Spectro Heavy duty 20W50.